William Eldridge is a composer of concert music, electroacoustic music and music for film and other media. After attending Virginia Commonwealth University, The Boston Conservatory and The University of Michigan, he earned a PhD in Music at Harvard University where he was awarded the Variell Fellowship. While at Harvard he served as Ivan Tcherepnin's Teaching Fellow in the Electronic Music Studio and as one of Louise Vosgerchian's Teaching Fellows for Nineteenth-Century Piano Literature. 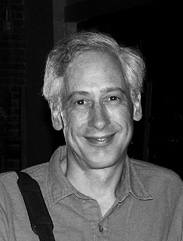 He was founding manager of The Harvard Group for New Music, a resident professional chamber ensemble, and artistic director of NEWCOMP, a non-profit computer arts organization which presented concerts and hosted an international computer music competition. His composition teachers included John Clement Adams, Leslie Bassett (Pulitzer Prize, 1966), Leon Kirchner (Pulitzer, 1967), Donald Martino (Pulitzer, 1972), Earl Kim, Donald Sur and Sir Peter Maxwell Davies. He studied music theory with Robert Hatten, Donald Martino and Milton Babbitt (lifetime Pulitzer, 1982), electronic music with George Balch Wilson and Ivan Tcherepnin (Grawemeyer Award, 1996), and computer music with Barry Vercoe (creator of Csound) at MIT. The composer's concert and computer music has been heard in Russia, Italy, The Netherlands and across the US. His music for film and radio drama has been presented at film festivals in Boston, New York, Aspen, Los Angeles and elsewhere and broadcast on national radio and TV networks in Britain, Germany, Japan, Canada and the United States. Performing and recording artists include Ursula Oppens, Bion Tsang, Peggy Pearson, Leslie Amper, Neil Anderson, Landon Bilyeu, Ralph Richardson, David Rothenberg, Christine Fish, Sue-Ellen Hershman-Tcherepnin, the Cambridge Symphony Orchestra and the New World String Quartet. Dr. Eldridge has taught music technology at Harvard University, Tufts University and Virginia Commonwealth University (VCU), history of American popular music and race relations (1850-1975) at Salem State University, Massachusetts, and composition, theory, counterpoint and 20th-century music history at VCU, where he founded the VCU Electroacoustic Music Studio. He has written reviews and articles about computer music for Technology Review and the Computer Music Journal, edited a widely-used textbook on MIDI, and worked in the media industry as an animation voice director, audio editor, sound designer and composer. In addition to music, education, consulting, photography and other pursuits, Dr. Eldridge serves as founding president of Friends of City Dance, a nonprofit organization which supports renowned dance educator Annette Holt's unique vision of municipal ballet and other professional dance instruction for inner-city youth.